Trident University International’s Dr. Wendy Wang presented the paper “Role of IT Identity in Moderating the Relationship Between Technostress, Job Engagement, and Productivity” during AMCIS 2017 in Boston. 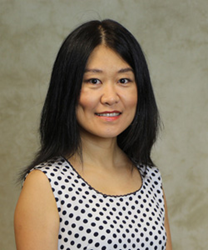 Trident University International’s (Trident) Dr. Wendy Wang presented a paper at this year’s Americas Conference on Information Systems (AMCIS). The conference ran from August 10th to the 12th in Boston, MA. The paper, titled “Role of IT Identity in Moderating the Relationship Between Technostress, Job Engagement, and Productivity,” was co-authored with Dr. Jignya Patel of Florida Institute of Technology. The study investigates the moderating effect of IT identity between techno-stress, IT job engagement, and productivity, and how IT identity can help to cope with stress created by techno-stressors, which diminishes the negative effect of stressors on job engagement and productivity. Dr. Wang currently serves as Department Chair in Information Management Technology and Computer Science in Trident’s Glenn R. Jones College of Business. She oversees programs at the bachelor’s, master’s, and doctoral levels. Her areas of expertise include management information systems, information technology, and social sciences. Dr. Wang is an experienced academic who has published research in Virtual Work and Human Interaction Research and the Journal of the American Society for Information Science and Technology. In 2013 she presented at the 19th AMCIS 2013 in Chicago. In 2014, she conducted research with doctoral student Robert Schanke, which led to multiple presentations at the 2014 Annual Meeting of the Decision Sciences Institute in Tampa, FL. Dr. Schanke graduated from Trident’s Ph.D. in Business Administration program earlier this year. Dr. Wang earned a Ph.D. in Information Systems Management and a Master in Social Sciences from the University of Mississippi, as well as a Bachelor of Arts from Northwest University in Xi’an, China. Trident, a 100% online university that has been in operation since 1998, is regionally accredited by the WASC Senior College and University Commission (WSCUC). Active duty military, veterans, National Guard, and military dependents make up 79% of the University’s student population, and Trident is proud to employ many veterans at its faculty, staff, and management levels. Of Trident’s 30,000 alumni, more than 22,000 have a military affiliation.